The dagger has a long history. During the Chinese Song Dynasty (1766 BC - 1122 BC), they were made of stone or jade, and afterwards brass or iron. 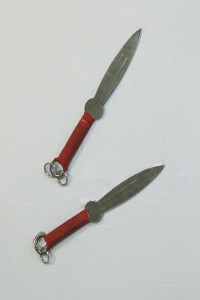 The dagger was another favored hidden weapon. 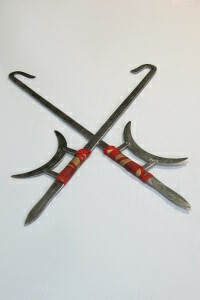 This weapon is made of hardwood, rattan, or metal sections of equal length. There are several conflicting legends regarding the 3 section staff, so a specific date of origin is unknown. This eclectic Chinese weapon is classified as a whip or soft weapon, and may be used for all ranges of attack and defense. Precise motions make it one of the hardest weapons to master. 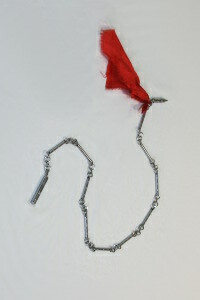 A variety of chain whips are used throughout China. Common varieties include three, five, seven, nine, ten or twelve steel bars, chained together with a metal or wood handle and a sharp metal head which (today) represents a bullet. Because of the whip's flexibility, it can be easily hidden. 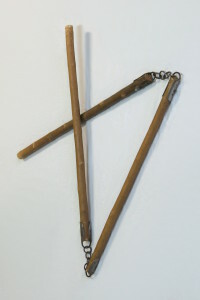 The sectional whip can be manipulated with the elbow, knee, foot, or neck, which gives this weapon innumerable techniques. The whip is best used as a stabbing weapon, however sweeping is also a common technique. Use of the sectional whip began around the Song Dynasty (960 AD - 1280 AD). This weapon could be used to attack a horse's legs or for very short range personal attacks. Stabbing, hooking and blocking are all effective techniques. The sharp crescent blade over the handle can be used for cutting at short ranges. The hook sword dates back to the "Spring and Autumn," and "Warring States" periods (722 BC - 222 BC).